Draw Minty Electronic Music #MusicMonday « Adafruit Industries – Makers, hackers, artists, designers and engineers! 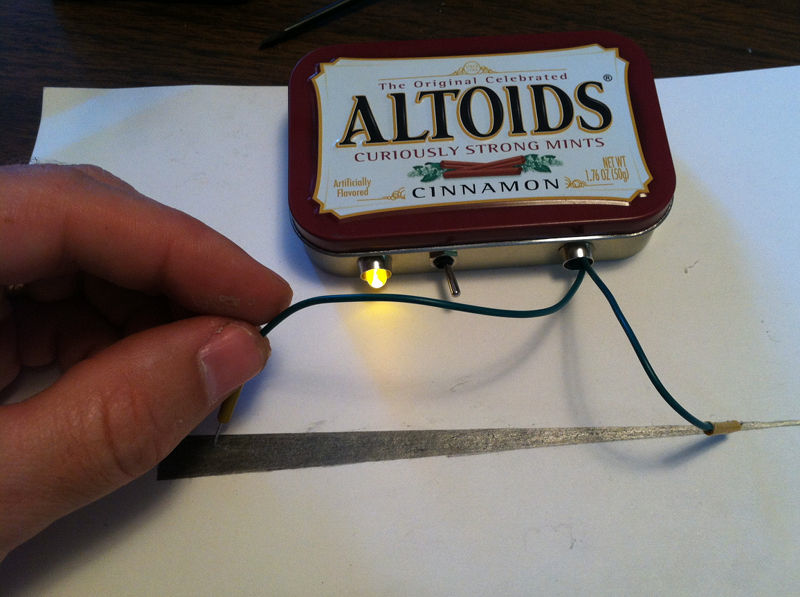 This is taking a previous breadboard experiment and installing it in an Altoids tin. Along the way I include a few tips about soldering. I used a toggle switch instead of a slider. I added an LED so that you could tell if the power is on. This is important because this unit is portable and operates on battery instead of a steady power supply. If the LED goes dim you will want to replace the battery. The downside to using a battery is that the sound will change pitch as the battery weakens. All the connections are permanently soldered. The components are hot-glued to secure them and to insulate them from shorting on other components and the side of the tin.